It’s The Return Of The Yellow Perch — Again! Great news! 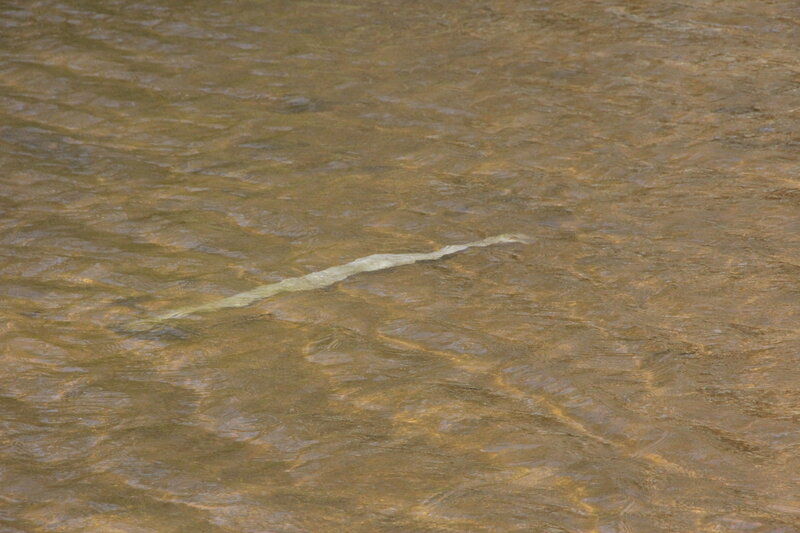 The noble, cold-water-loving Yellow Perch have returned yet again to the headwaters of the Severn River to spawn and start yet another generation. 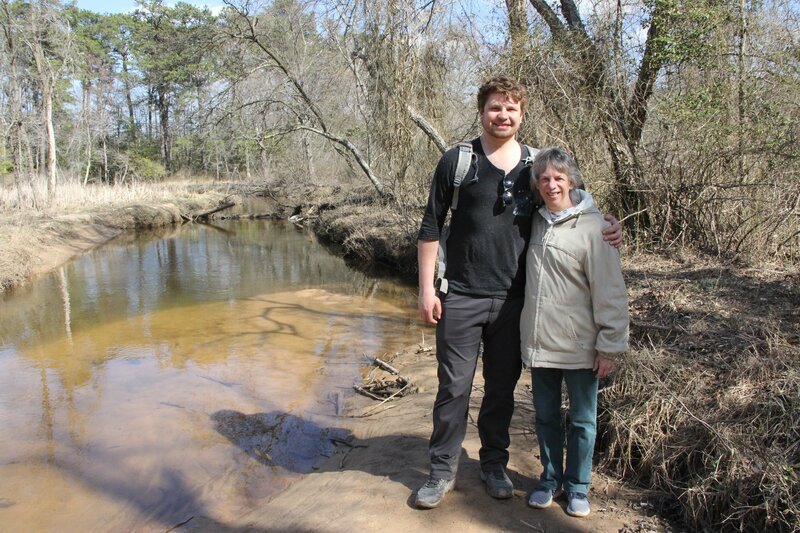 SRA’s intrepid Yellow Perch search team, SRA President Lynne Rockenbauch and her husband Craig, were back in the spawning grounds this year looking for proof that the fish have returned, yet again, to start a new generation. 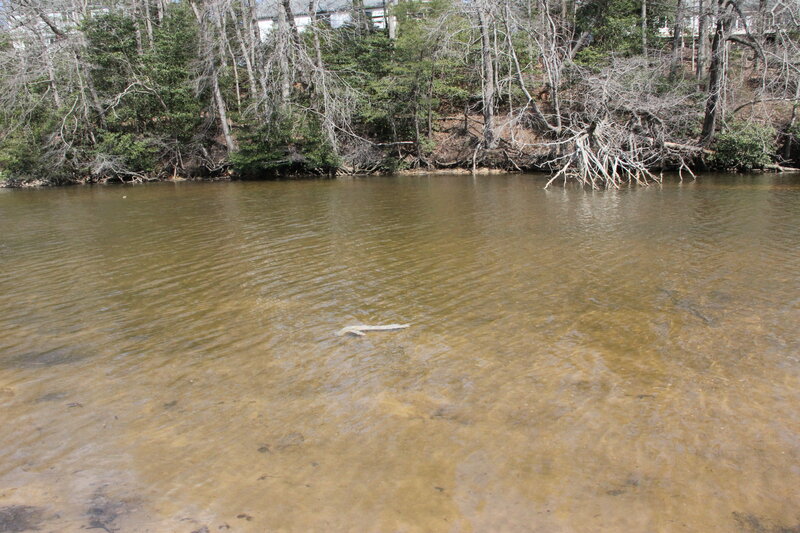 And, more great news, the Rockenbauch’s found the proof: several long, white egg-sacks the Yellow Perch use to deposit eggs in the shallows of the river’s headwater creeks, Severn Run and Bear Creek. 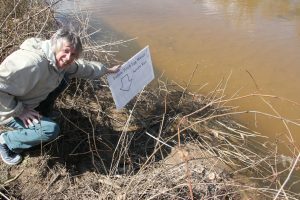 Here’s Lynne (left) pointing to Yellow Perch eggs near the shoreline in Severn Run. 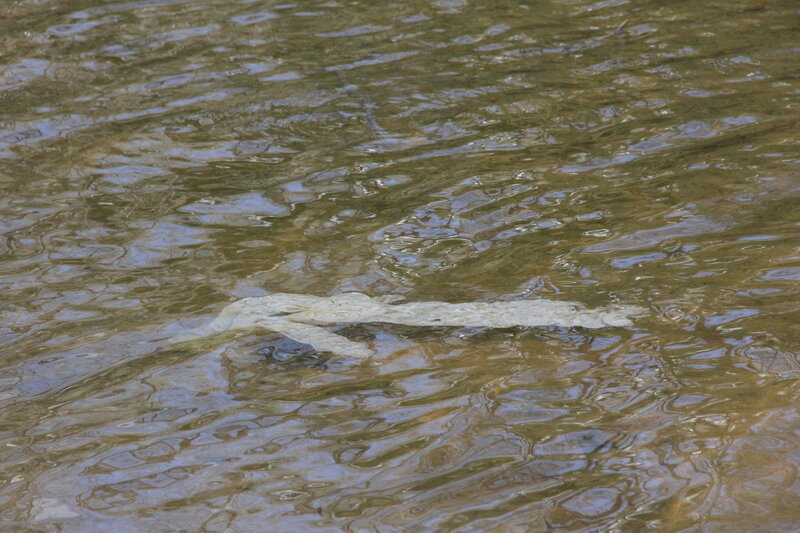 This is third year in a row that the Rockenbauchs have documented the return of Yellow Perch to Severn River headwater creeks to their spawning areas. 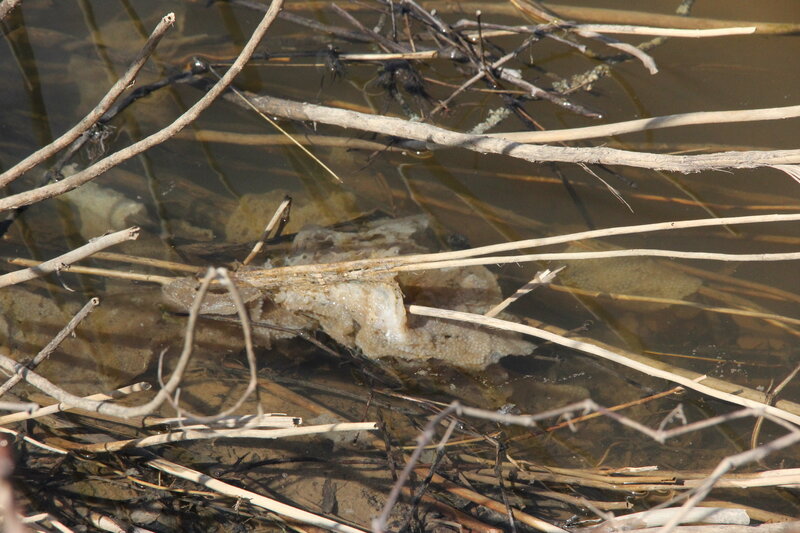 Below are pictures of the various Yellow Perch egg-sacks Lynne and Craig found in Severn Run in early March. 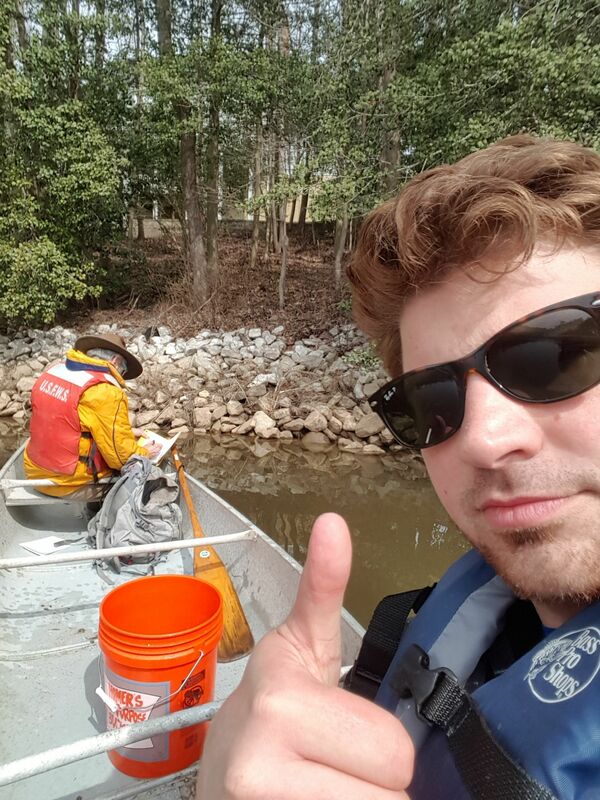 And the Yellow Perch search was supplemented this year when University of Maryland researcher, Alex MacLeod, joined the Severn River search. Alex and his assistant (in yellow rain gear) reached Severn Run by canoe. Alex is studying genetic changes in Yellow Perch DNA to how the fish responded to a decline in water quality that was triggered in the 1980’s by the building of I-97, the Rt. 32 interchange and the intensive commercial and residential development that followed. As Alex explains, “I’m looking at genetics, hormones and tissue changes to better understand whether the Yellow Perch in the Severn River are still having the same reproductive issues they had decades ago, whether these reproductive issues are still occurring and to what extent.” Alex will compare the Yellow Perch’s reproduction health in the Severn River and Mattawoman Creek to the fish’s experience in the Choptank River. Alex brings the Yellow Perch eggs he collects from the Severn River to the Joseph Manning Hatchery, run by Maryland Department of Natural Resources. That’s Alex at right giving a thumbs up when they found and collected Yellow Perch eggs from Severn Run. We look forward to hearing from Alex during an upcoming John Wright Speaker Series presentation!